If you or someone you love is addicted to opiates such as heroin or morphine, methadone rehabilitation might be a good option to consider. Methadone rehab is done professionally in clinics or inpatient centers under a doctor’s careful supervision. There are few risks to supervised methadone rehab. The effects of this type of rehabilitation are extremely beneficial, and can assist addicts greatly with the withdrawal process. Methadone is a chemical drug that can reduce the effects of opiate withdrawal and reduce the high that addicts receive from these opiates. It is used on both an inpatient and an outpatient basis. With Methadone maintenance treatment (MMT), many former addicts can become productive members of society, hold down jobs, or attend school. Methadone is administered by doctors in a controlled setting, and is frequently given in a pill or liquid form. 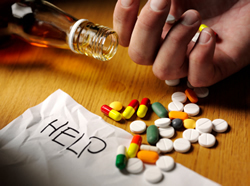 What are the Effects of Methadone Rehab? A patient involved in MMT will experience a lessening of withdrawal symptoms. The craving for opiate drugs will decrease. If the addict slips and uses again, the high received from the illegal drug will be minimal, making the activity far less pleasurable. Because the patient receives no high from the drug, it becomes less appealing and they are less likely to succumb to future temptation. What are the Benefits of Methadone Rehab? Patients involved in methadone rehab reduce their risk of overdose, as well as the risk of HIV infections from shared needles. Methadone is far less expensive than street drugs; taking methadone reduces the need for large amounts of cash. This decreased need often reduces the number of illegal drug transactions. It may also decrease drug related criminal activity. Methadone is also generally considered safe for pregnant women, making it an excellent withdrawal method for mothers to be. Methadone rehab is safe if done in a professional facility under a doctor’s supervision. However, there are a large number of overdoses each year that are attributed to patients attempting to use methadone for withdrawal on their own. If you choose to use methadone, do so under a doctor’s orders only.